Recently we were on vacation visiting our neighbors who moved to Maui. The first night we were there we went to PuPus (local for appetizers) at a restaurant in Waimea called Monkeypod. 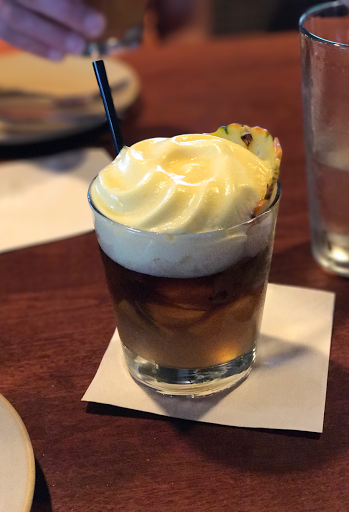 We had AMAZING Mai Tais, with a passion fruit foam on top and some really great food, although not necessarily "island" food it was exceptional. From Kauai Shrimp & Hamakua Mushroom Potstickers, to Pumpkin Patch Ravioli (kiawe-roasted squash, chèvre, spinach, toasted walnut sage pesto), and Kalua Pork & Pineapple pizza (caramelized onions, kula county farm rosemary, pine nuts, garlic white sauce and Roasted Butternut Squash pizza (onions, kula country farm rosemary, pine nuts, garlic with white sauce). 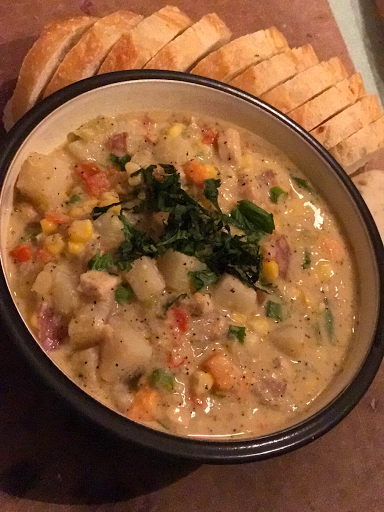 But what really got me interested was the Coco Corn Chowder (local coconut milk, yukon gold potato, celery, fresh island herbs, organic kale, local tomato, local lemon grass). Our friends both order a bowl of it, saying how delicious it was and offered us tastes. 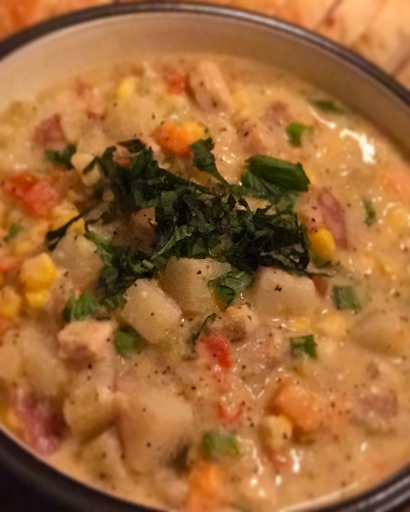 While I'm not really one to try something off of another dish, I had to come up with a recipe for this soup. In fact it was all I could think about the rest of the trip, ok. Not all I could think about. But I was ready to make it when I got home. 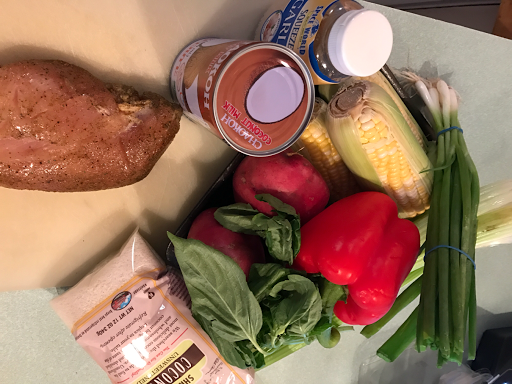 After rereading the ingredients from the menu, I must have blocked out the kale (hehehe), and I'm definitely adding in lemon grass next time I make it. Here's my version, for now! 4 large ears corn, husked, and de-eared. Place coconut oil in large pot. Heat to medium high heat. 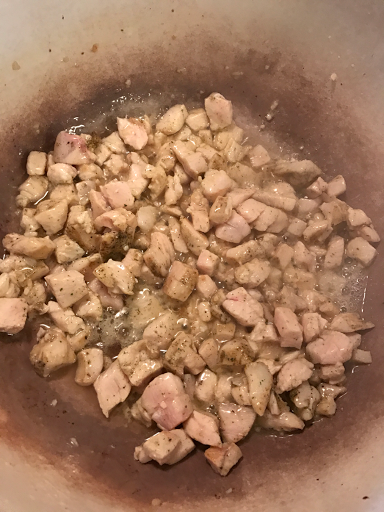 Place diced chicken in pot, and cook until mostly cooked. Add garlic, and stir. 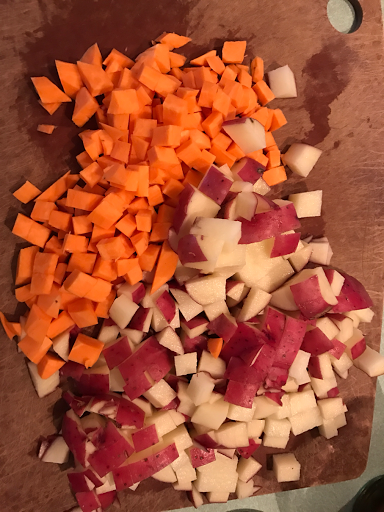 Add potatoes, celery and red peppers. Stir to cook. 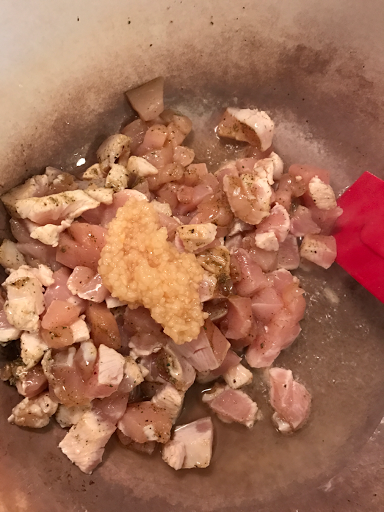 Cut kernels from corn, add to chicken potato mixture. Salt and pepper to taste. Add chicken broth and coconut milk. Bring to a low boil. 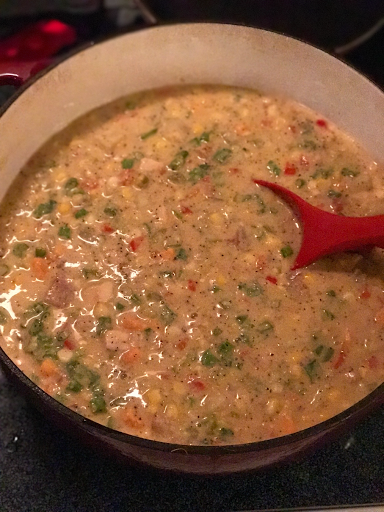 Remove 1-2 cups of the soup mixture. Blend into a smooth purée. This will thicken the entire soup mixture. 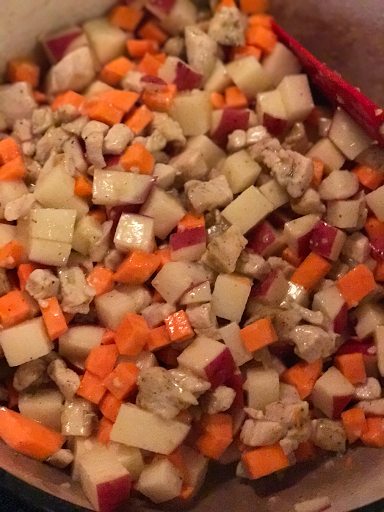 Reduce and allow to simmer at low heat until potatoes are completely done. Season with salt and pepper to taste. Garnish with green onion tops, basil and toasted coconut.